Love this, you are so talented :). I would love one of these. GREAT job!!! Very creative with the ruled background! Too cute honey! 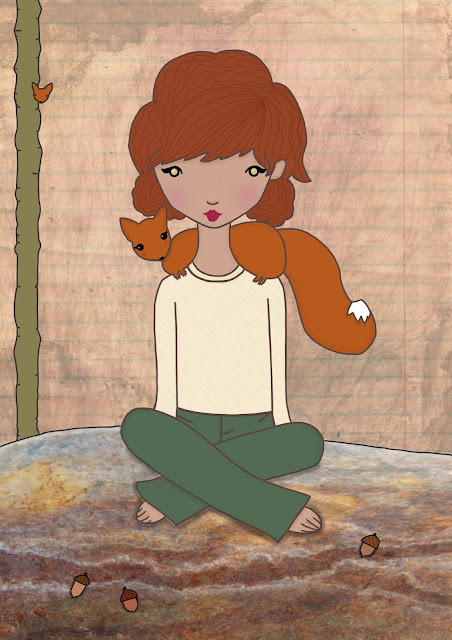 I wish squirrels were actually this friendly!